The Walking Dead: Daryl’s Missing Something! Did anyone else notice Daryl’s (Norman Reedus) signature piece of clothing missing something last night? The two wings that we’ve seen for the past nine years on the back of Daryl’s jacket have suddenly changed dramatically, as one of them has suddenly disappeared. But how did that happen? Will we find out later on in the season maybe through flashbacks? Or was it just put in the show so we can see how badly Daryl has been living out in the wild. One of those wings could even be a reference to Rick (Andrew Lincoln), now that he’s gone. One wing could be Carol (Melissa McBride), that he still has whereas the one he’s lost could be Rick. 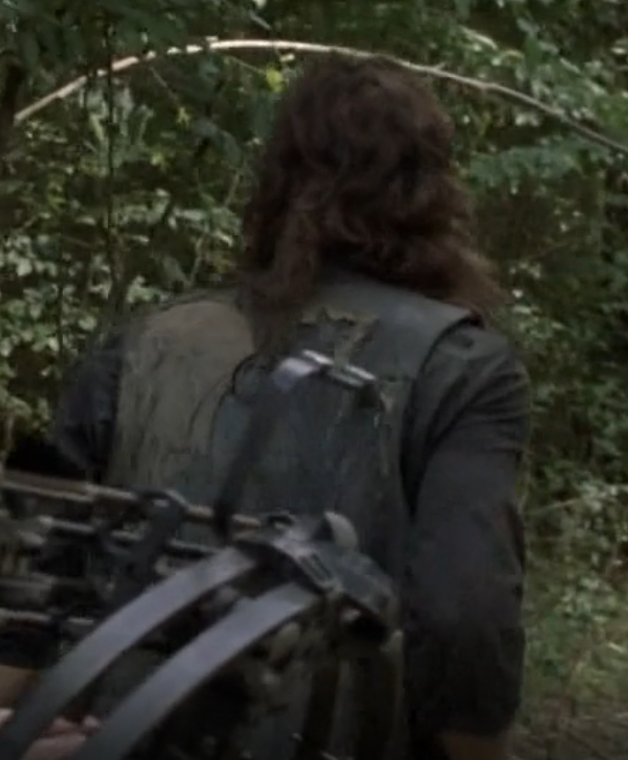 It could also be something to do with the ‘X’ we saw first crop up on Michonne (Danai Gurira), but now it’s also on Daryl’s back in the same place. Were they both captured at the same time by an unknown group? Or were they even captured separately? They may or may not even know they both share the same scarring. Either way, it’s caused the communities to divide, especially Hilltop. Up until now, Michonne presumed Maggie (Lauren Cohan) was still living at Hilltop. But towards the end of this weeks episode, Siddiq (Avi Nash) tells her that Maggie is lone gone with baby Hershel. Whatever has happened to cause this scarring, along with Daryl losing a signature wing of his from his jacket. It has to have been something serious. Posted on November 20, 2018 by badwolftaleTagged andrewlincoln, daryl, daryldixon, normanreedus, rick, rickgrimes, Thewalkingdead, Zombieapocalypse, Zombies. Next Next post: The Walking Dead: Was That Dwight In The Woods? Where did “Daryl” originally get the winged jacket in TWD?